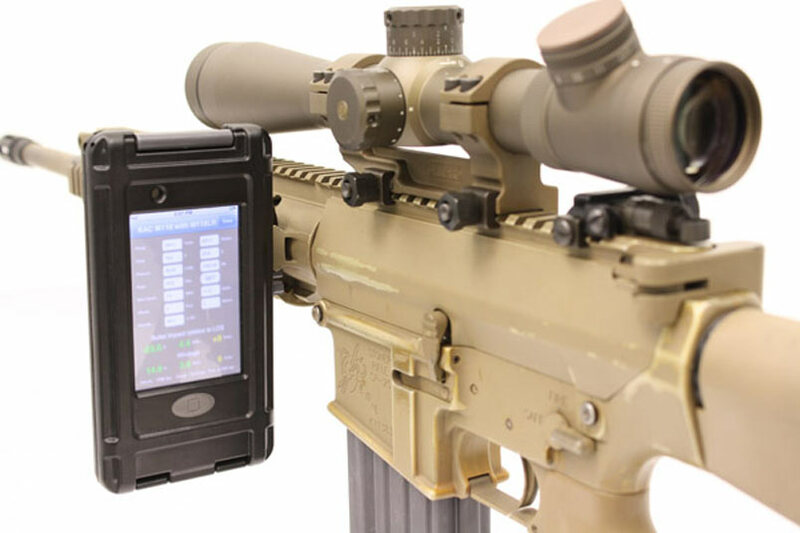 This official US Army M110 Sniper Rifle has all the necessary accouterments: long barrel, scope, and an iPod touch. You see, that iPod is running the program BulletFlight, available now from the App Store for $US12. BulletFlight is essentially a ballistics calculator that turns environmental factors like windspeed and distance into simple "click" adjustments on the rifle. Five different rifle profiles have been preloaded into the software to factor in specifics like muzzle velocity and bullet weight.